There’s no doubt that Cagliostro left an impact by the end of this episode. There’s no doubt that she is someone willing to kill innocents and do horrible things for her goals. But she went out in such a badass fight that at the very least I can respect her doing everything she could for the others. Cagliostro still went out there to fight despite knowing what Adam was plotting. 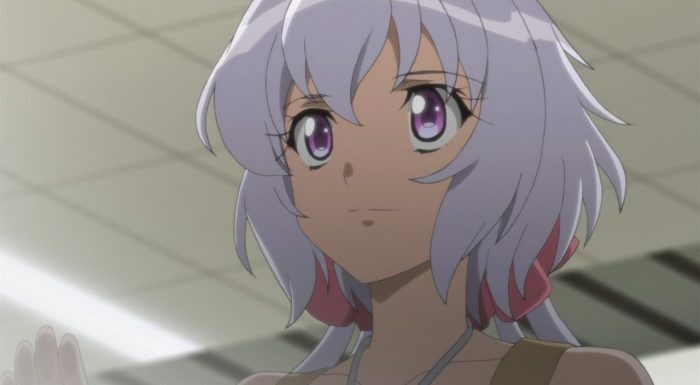 I wouldn’t even be that surprised if the plan was to wipe out the Syphogear users and then sacrifice herself to protect the others. While Cagliostro can do some stupid things, this was an episode where she looked fairly mature. The plan to take down the gear users was solid. 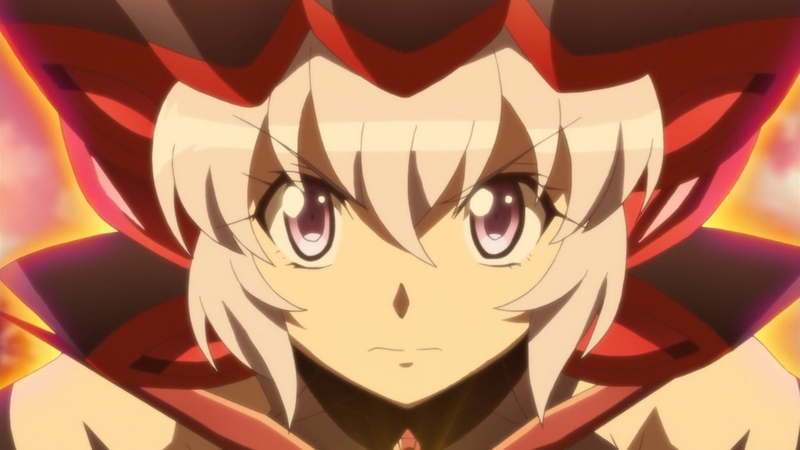 At that moment the biggest threat was Kirika/Shirabe’s unison. Without that it should have been fairly easy to pick off the rest. Should have, being the key word of course. I’ll also tackle the obvious point. For reasons that aren’t my business, there was a delay in this episode getting out. But I think we can appreciate how life can get in the way and I’m just glad we’ve got a subbed episode to enjoy. This episode did allow us to tackle the situation around Chris pretty well. It is important to keep the past in mind, but not to let it drag you down. Stefan losing his leg wasn’t an inconsequential price to pay for his survival, but it was a worthwhile one. I still kind of wonder how Sonia managed to screw up securing Yukine’s safety and let her fall into the hands of slavers, but suppose we’ll never know that part of it. This arc has still been a solid one for Chris. It isn’t quite on the level of her guilt about Solomon’s Cane in Season 2, but it is definitely better than what arc she had in Season 3. Stefan, Sonia, and Chris all managed to talk things out and move forward. Sonia will continue the work Yukine’s parents started in Val Verde, while Chris will continue fighting. This wasn’t a season that Chris spent too much time beating herself up. She has learned from the previous seasons how that can go wrong. Now she couldn’t entirely avoid feeling frustrated, but she didn’t run off and do anything stupid either. And Chris wasn’t unwilling to listen to those around her when it was necessary. 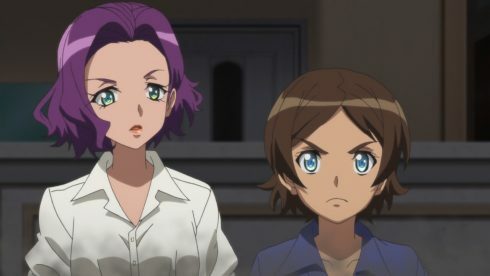 When it came down to it she still went to meet with those siblings along with Tsubasa. And she was the one willing to suggest testing out the unison method against Cagliostro. Chris and Maria may not be exceptionally close, but they know when it is time to step up and fight. As a whole the fight against Cagliostro was quite fun to watch. It was a nice twist having Cagliostro be much more of a brawler. Though we did see a couple times this season how she tried to close the distance, but until now we didn’t realize how much stronger she was in terms of hand to hand combat. It was a tough fight even after Ignite came back into the equation. I don’t mind that the upgrade was simply used to make Ignite useful again. 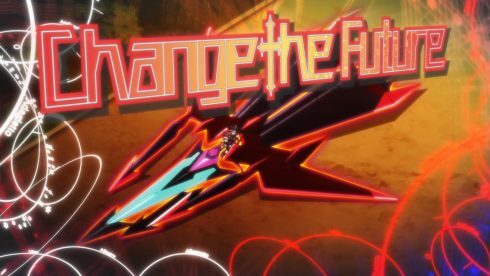 They already have enough combat options in this show without inventing a “fool’s stone mode” kind of thing. And I can’t really complain about Maria and Chris basically creating a flying sword-jet to bring down Cagliostro. The new duet was pretty nice to listen to. I think Maria and Chris have some good solo songs so bringing them together worked nicely. No doubt the training came in handy there. For once Genjuro was ahead of the enemy planning. With Kirika/Shirabe looking like the biggest threat, it was logical to presume the enemy would try to split them up. They couldn’t count on doing the familiar pairs or trios when the time came. So making sure everyone could theoretically pair up was a smart move. 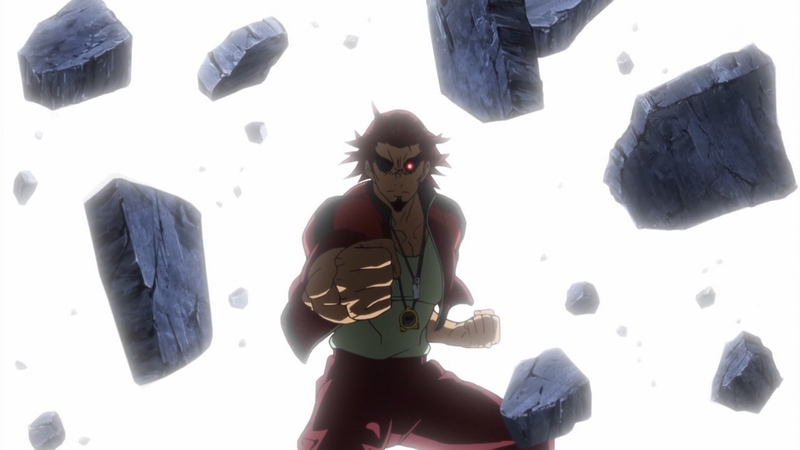 And of course it was just a reminder of how utterly badass Genjuro is. He just utterly stomped the entire team. Now to be fair I don’t think Maria, Kirika, or Shirabe knew how utterly overpowered that guy is. But even the main trio couldn’t do much against him. I appreciate Chris being the only one to really bring out some big guns. If we don’t get to see this guy go head to head against Adam it will be a bit of a waste. Things aren’t going great for Germain right now. She just lost one of her companions and Adam is serving the other one up for sacrifice. I suppose that for the good guys this is a solid development. 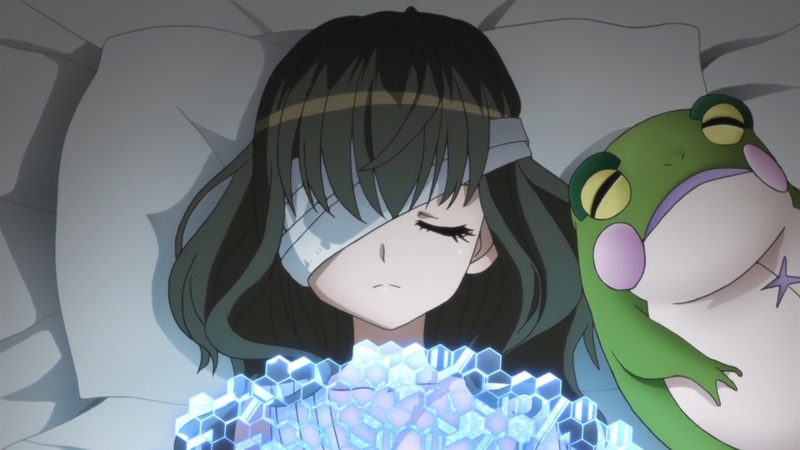 Germain isn’t in a great condition to fight and frankly neither is Prelati. It is a necessary part of the plan to sacrifice someone for the energy needed to take over the lunar ruins, but this is whittling away at their own forces. I guess Adam hardly cares though. This guy can toss around nukes and is close to gaining unbelievable power. It should be interesting to see where things go from here. The good guys have finally regained their footing, but still need to track down their enemies.